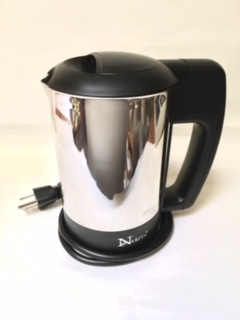 0.7 Liter capacity S. S. electrical kettle with automatic shut-off when boiling. Dual voltage 120V / 240V. A great travel companion for tea drinkers.